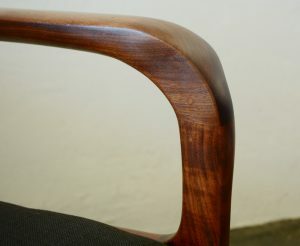 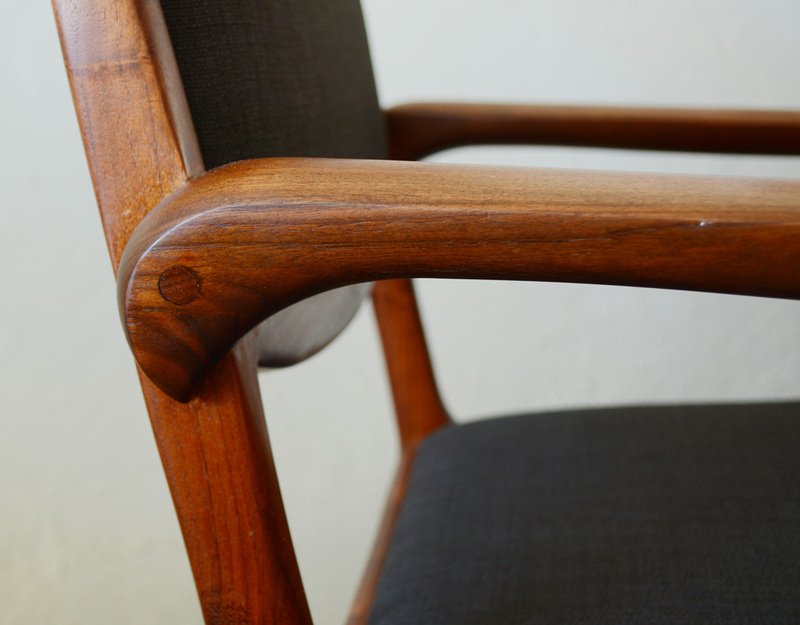 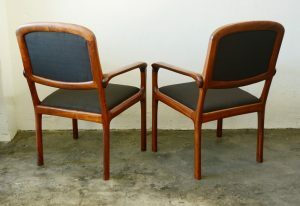 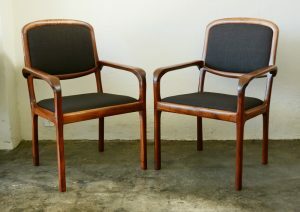 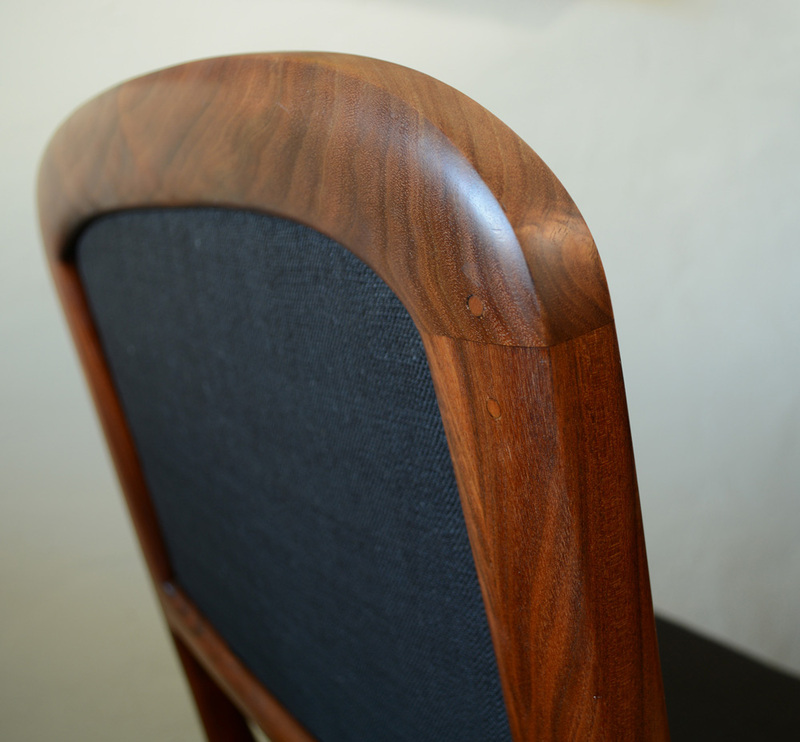 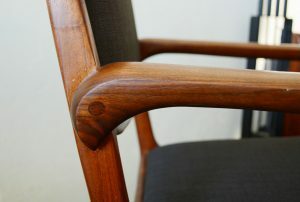 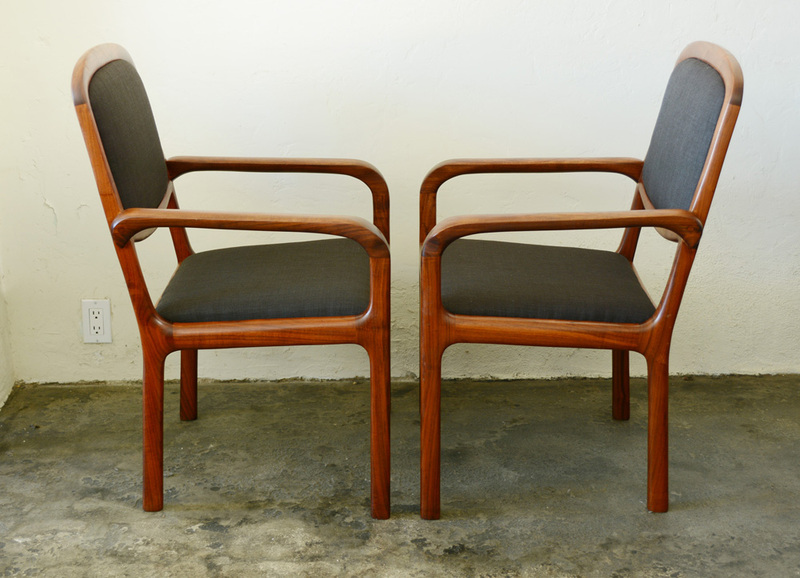 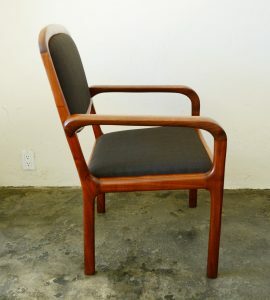 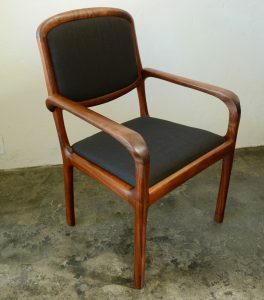 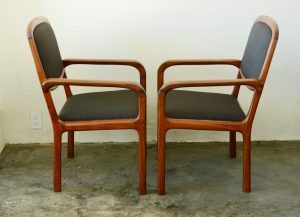 Two walnut frame studio Craft chairs. 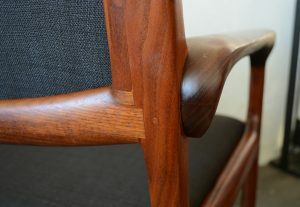 These are very well-made with great joinery detail. The chairs have an original lightly cleaned finish and new upholstery.